An A0 V "telluric standard" observed with FIRE's echelle mode. 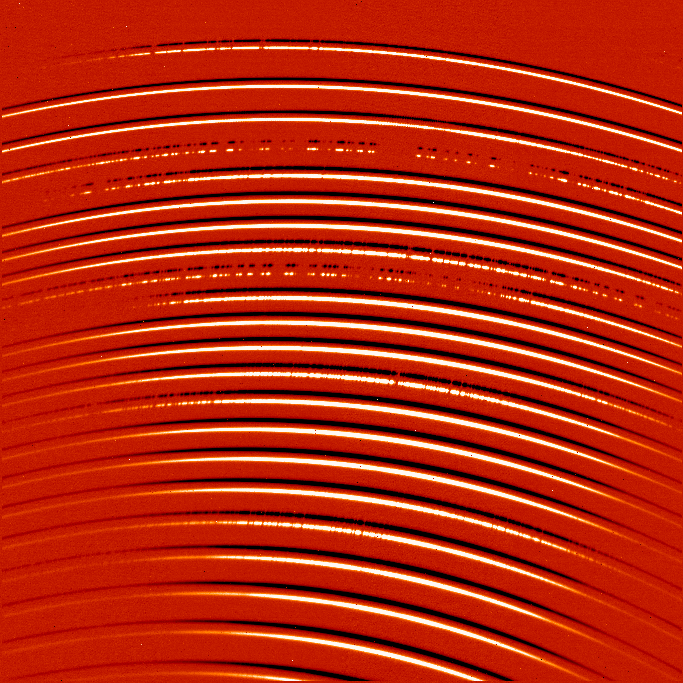 The 21 orders span a wavelength range of 0.85 to 2.4 micron from bottom to top. This image is a pairwise subtraction of two 10 s exposures, hence the postive and negative traces. An unprocessed, 600-second exposure of the late T-type brown dwarf 2MASS 1217-0311 (J = 16) in FIRE's echelle mode. 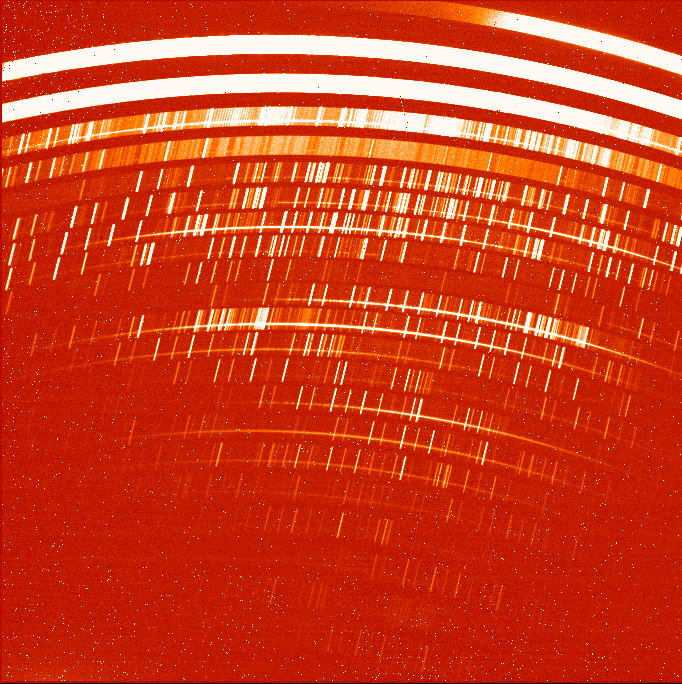 The star's light appears as occasional horizontal streaks in the various orders; the short vertical streaks are emission lines from OH in the Earth's atmosphere. 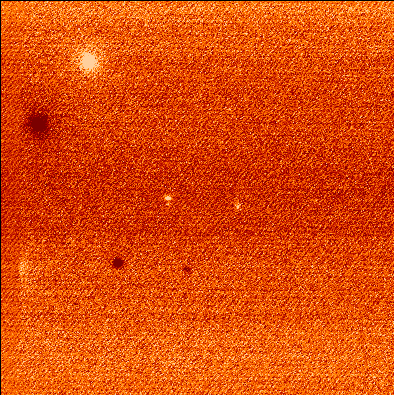 The bright region at top is thermal emission (mostly from Magellan's "warm" mirrors) in the 2-2.5 micron region. 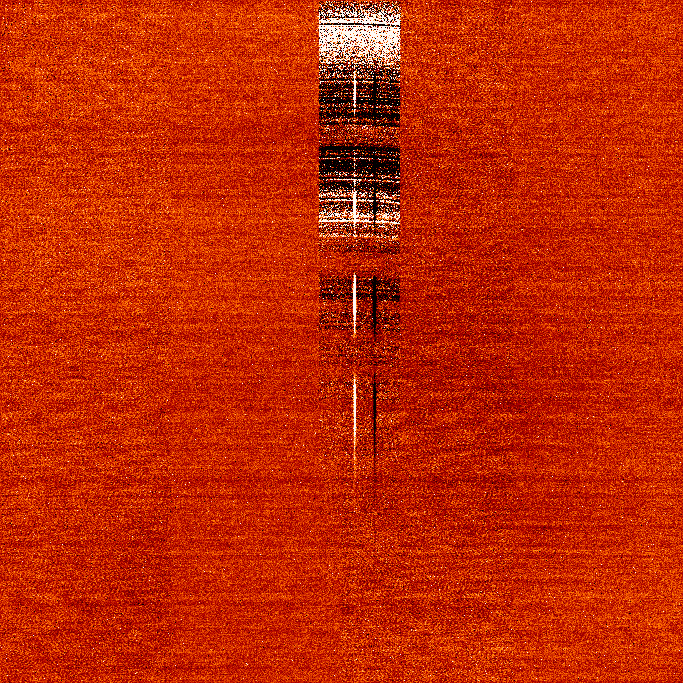 A high-redshift (z=6), J = 20 quasar observed with FIRE's echelle mode. FIRE is sufficiently sensitive to pick up continuum light from this ancient source, enabling studies of the gas along its line of sight. This is a pairwise subtraction of 2 900-second exposures. 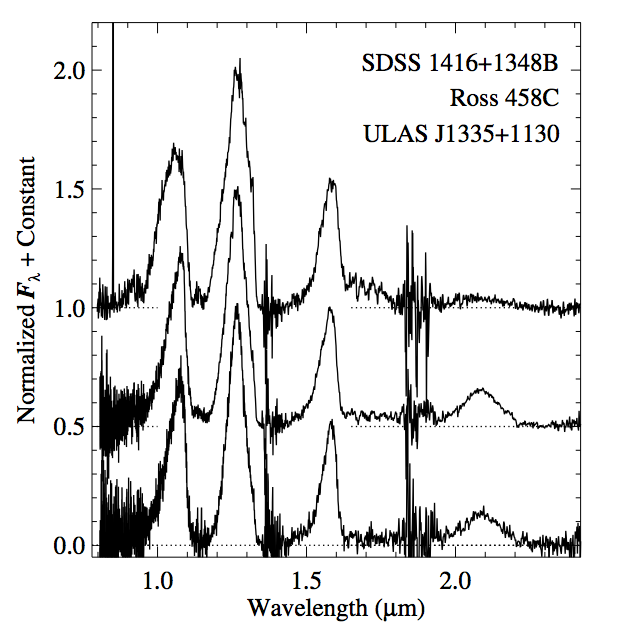 Prism-dispersed mode of FIRE of the J = 16.7 T dwarf Ross 458C. This mode gives a lower resolution of 250, but high throughput. This image is a pairwise subtraction of two 150-second exposures, and the wavelengths go from 0.8 micon at the bottom to 2.5 micron at the top. 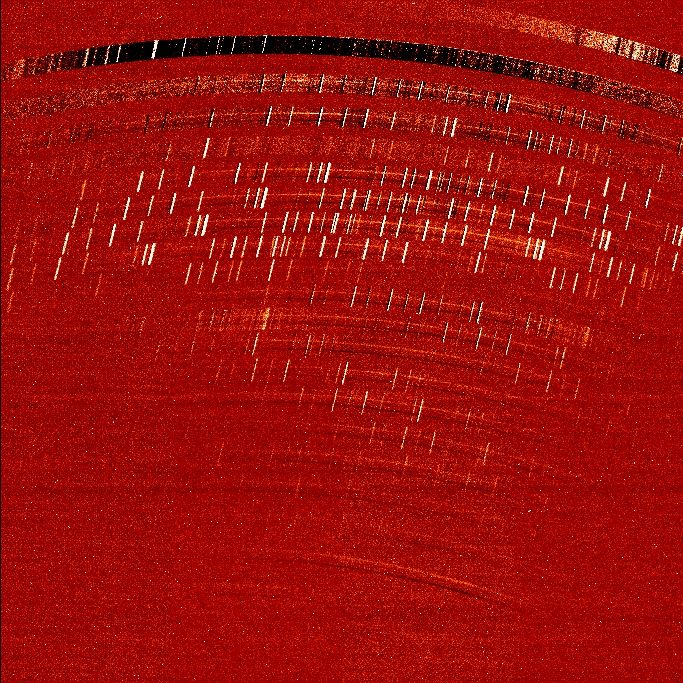 Acquisition image from FIRE's slit-viewing camera, which has a Mauna Kea J-band filter. The target (left of center) is in the slit, so appears to be split in half. This is a pairwise subtraction of two 5-second exposures.